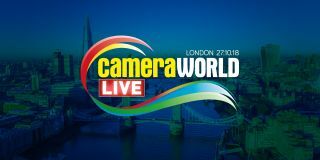 The photography event CameraWorld LIVE will take place in London on 27 October. Billed London’s biggest annual photography showcase event, the event returns after last year’s show, and this year they organisers have an ambition to improve on last year's event, so this could be something to put in your diaries. Of most interest to photography professionals and enthusiasts in the UK is the fact that this will be among the first big events to feature launches from Photokina 2018. Attendees will be able to see and try the latest products from a range of brands, and some UK firsts have been promised. Experts will be on-hand to advise and demonstrate the gear to guests, and there will be both seminars and studio demonstrations provided by pro photographers on a variety of subjects. For those in a trading mood, there will be a wide range of cameras and accessories available at below usual consumer prices with CameraWorld’s Famous Show Deals, and CameraWorld also buys unwanted camera gear from sellers looking to trade in. CameraWorld LIVE will take place on Saturday 27 October from 10am to 5pm, at 155 Bishopsgate, London, EC2M 3TQ. For more information and to book tickets, visit the CameraWorld Live website.